Ideas in Profile: Small Introductions to Big Topics Art has always been part of history. But we often think of it as outside history. When we look at a painting by Raphael, Rembrandt or Rubens it speaks to us directly, but its also an historical document, part of a living world. 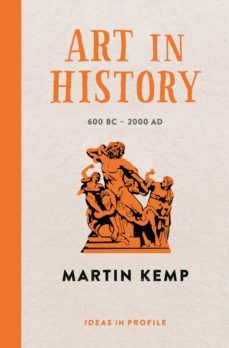 Renowned art historian Martin Kemp takes the reader on an extraordinary trip through art, from devotional works to the revolutionary techniques of the Renaissance, from the courtly Masters of the seventeenth century through to the daring avant-garde of the twentieth century and beyond. Along the way we encounter the great names of art history: Leonardo da Vinci and Michelangelo; Vermeer and Velasquez; Picasso and Pollock. We get under the skin of the many isms, schools, styles and epochs. We see the complex sweep of art history with its innovations, collaborations, rivalries, break-throughs and masterpieces. Above all, Kemp puts art in context; art isnt about disembodied images, art itself is history. Part of the Ideas in Profile series, uniquely enlivened with animations and illustrations from the award winning studio Cognitive Media, Art in History is an indispensable, accessible and richly detailed guide to our culture, our history, our heritage and our art.